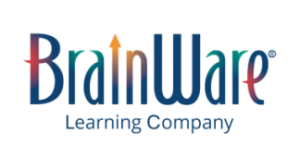 Now quality online training on the application of neuroscience to classroom practice is available to any teacher anywhere! Learn about the implications of brain research in the classroom at your own pace and on your own schedule. Years of neuroscience research have given us some important insights into how our brains learn and what helps or impairs learning. This course provides an introduction to what we know about the brain from neuroscience research. It dispels myths and provides a solid foundation of brain structure and function upon which to build brain-compatible practices. Participants will incorporate their learning as they explore a portfolio of brain-compatible instructional strategies and develop a strategy of their own. Educators who complete From Synapses to Strategies will, at the most fundamental level, gain an appreciation for learning as a biological process in which the brain is constantly changing. The course will provide an understanding of the mental processes that get information through the attention filters of our brains, and what enables informaton to be encoded in long-term memory. Participants will apply the differences between different types of long-term memory to the learning tasks in their subjects. They will recognize and learn to affect the emotional aspects of learning. The estimated time to complete the course is 10 hours, so each recipient receives credit for 10 professional development credits. The course is designed to be completed on the individual participant’s own schedule, but incorporates engaging feedback from an acclaimed instructor so that learning is relevant and personalized.